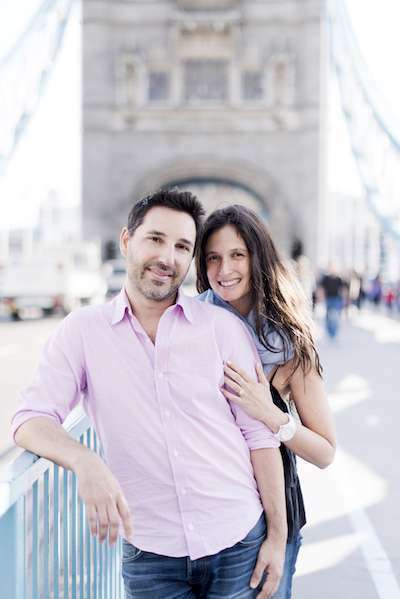 Meet Rachel and Jason who fell in love on the Tinder mobile dating app. She shared how the two met with some heartwarming details about their courtship. How long did it take to meet “IRL” (in real life) and when did your courtship begin? When did you know or become exclusive (how long before?) and how did you know he/she was the one? “I would say we went from 0-60 very quickly. Our first date was February 13th, 2014 we both went strategically radio silent on Valentine’s Day and then we made plans and went out on our second date on February 15th. I think we were formally exclusive within the first 2 months, although truthfully, I was probably a little slower than he was to get the memo. Rachel and Jason have been together for 3.5 years now. They’re married and have a 7-month-old baby girl. Congratulations to Rachel and Jason, our Tinder Love Story. Have you met someone special on Tinder or other mobile dating apps? We’d like to hear from you. SIGN UP for the FREE Weekly Flirt newsletter for juicy dating advice delivered to your inbox.